Because of support from our community, the Sacramento Children’s Home raised over $10,000 on Giving Tuesday 2018! To everyone who supported us through a donation, a Facebook fundraiser and/or a simple social media share, THANK YOU. #GivingTuesday is a global giving movement held on the Tuesday after Thanksgiving. There’s Black Friday, Cyber Monday, and now Giving Tuesday. That’s two days for getting deals and one day for giving back. The Big Day of Giving is a local 24-hour fundraising campaign specific to Sacramento. Giving Tuesday is a global effort to engage more people in philanthropy. This year, we raised crucial funds for the crisis nursery. We know the need for emergency care during a crisis remains, and we want to be there for as many families as we can, to prevent neglect, to prevent child abuse, and to keep families together. We strive to keep families whole, strong and thriving. 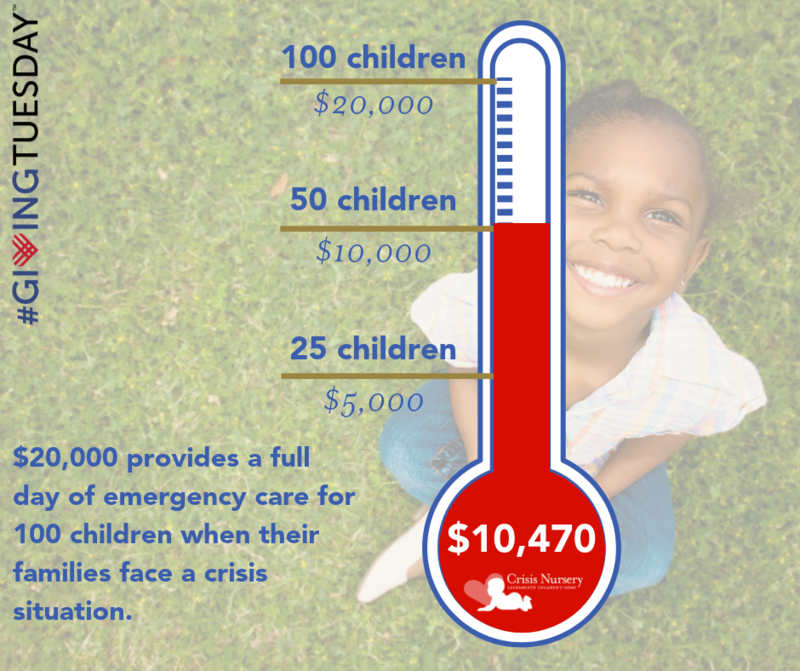 It takes approximately $200 to provide care for one child for a full 24 hours, so $10,000 will allow us to provide care for an additional 50 children in need. b. It’s easy! Supporting your fellow community members in need through SCH takes less than two minutes. Ready to make your secure, tax-deductible gift to support a safe place to stay for a child whose family is facing a crisis?